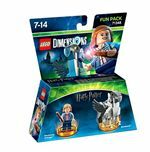 Check out some of the most up-to-date items for harry potter lego on this Toys and Video Games page including these related brands: LEGO DIMENSIONS, GAMES FOR WINDOWS, NINTENDO, SONY. 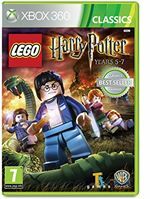 To enhance your harry potter lego results you can try the category links on the right to drill down, or even by using our blue search bar above. After some great detective work on your new Toys purchase, you should be in a position to find us useful. LEGO Harry Potter Cannon Launcher Green LEGO - Cannon Launcher - GreenThis model comes pre-built and does not include instructions. LEGO Harry Potter Animals Mini Figure Hippogriff Buckbeak LEGO Harry Potter Animals Mini Figure - Hippogriff - BuckbeakVisit our Minifigure Accessories section for a great range of parts.